“If you can’t beat em, join em”: Is this how retailers can beat the “Amazon Effect”? In this piece I will look at how retailers on both sides of the Atlantic are trying to future-proof their business models in an era dominated by the commercial power of Amazon. A recent Fortune article has highlighted how Kohl´s, the US department store retail chain, is taking a different approach to competition from Amazon by welcoming it into 100 of its 1,158 stores. Kohl´s has its own successful loyalty program with 30 million members but it recognized that Amazon already knew many Kohl’s customers‘ preferences, since they were Prime members or shopped and searched for products on the site. Sensing an opportunity to satisfy a new, younger target base, Kohl’s agreed a deal with Amazon that sees it processing Amazon’s returns and sending them back to its rival’s warehouses using its own shipping infrastructure. Amazon also operates its own stores-within-stores at 30 Kohl’s stores, selling products currently not included in Kohl´s range, such as smart-home technology. The first results from the cooperation have seen footfall in participating Kohl´s stores increase and many of these entering are either new or lapsed Kohl´s customers. Analysts consider it among the best-positioned US department store chains to thrive in future. 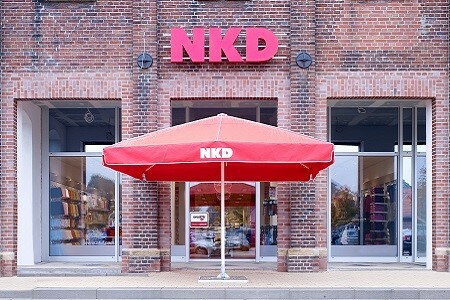 Here in Germany, the discount apparel retailer NKD has had great results from its cooperation with the logistics provider DPD, as part of its attempts to attract a younger, more affluent customer segment. NKD Germany claims that 1 in 10 of those returning online purchases from the likes of Amazon or Zalando, stays to buy items at NKD, with double the average spend. The key here lies in NKD´s close collaboration with DPD to ensure that the returns process does not affect in-store productivity. No cash is involved at any stage and package volumes are flexibly controlled according to the storage capacity and staffing levels in relevant stores at any given time. Last year 2 million parcels were processed in this way and both DPD and NKD are investigating ideas for the future such as unmanned parcel stations located close to NKD stores, with special offers for NKD items placed inside pick-up lockers. The “Amazon Effect” is not going away anytime soon, and one way to solve it might just be finding areas of cooperation that will benefit both parties.